The unique velsycon COMBILIFT-system is able to move container in three different directions. Our Packer-System is distinguishing oneself through the variants of loading through the using of a separation system. The velsycon GmbH is manufacturing hook interchangeable systems (COMBILIFT) and setting up systems. The COMBILIFT can pick up, set down, place up and tip over container and mobile silos of different sizes and standards. With that we offer transport solutions for different operational possibilities, for example disposal of waste, building industry, plastics, flours/powder, food industry, etc. A variable emptying system is rounding off our offer. Because of our experience of the market since 1968 we are able to show our customers many-sided solutions for different problems and reasoned allround service. 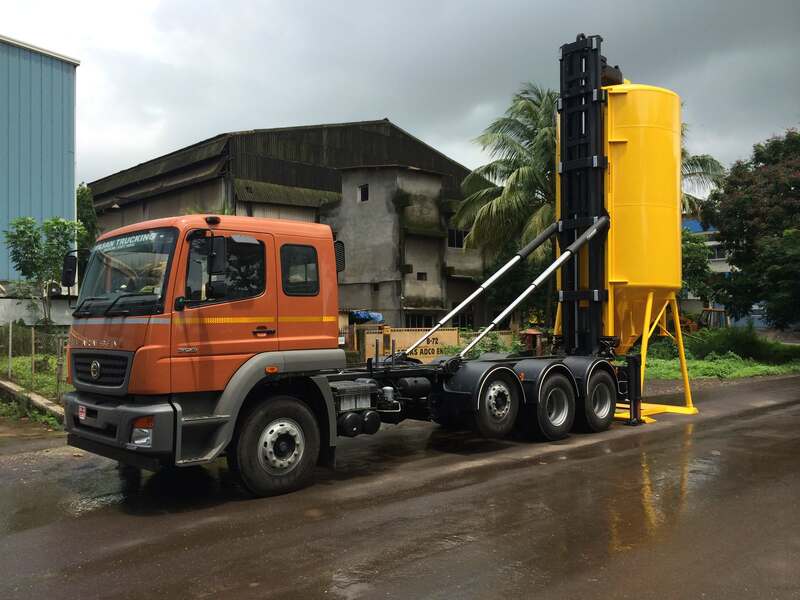 You can get vehicles, loading systems and container of one hand with a guarantee of function up to the compatibility of the points of intersection. We attend you at the analysis of your exact job, we give you a detailed training of the different systems and if required you can get us around the clock. We are selling worldwide and clients from all over the world benefit from our experience in special constructions and vehical construction.